About 3.6 million older people in the UK live alone, of which 2 million are aged over 75. Loneliness is a huge issue in the UK, particularly as 1.9 million older people often feel ignored or invisible. This is why Morningside Pharmaceuticals Ltd sponsors an Age UK LeicesterShire & Rutland mini bus. The bus was officially launched in 2017 and is now helping to rescue older people from loneliness by providing essential transport for the charity’s befriending service. The Morningside Mini-Bus is fully wheelchair accessible and is now in-use every Monday to Friday from 8:30am to 5pm, as well as providing weekend day trips, transport to community activities and day care centres including the very successful Men in Sheds project in Loughborough. 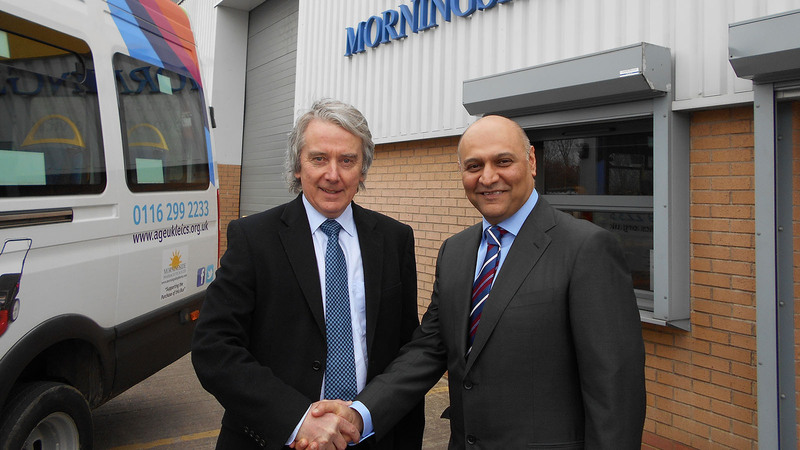 Executive Director of Age UK LeicesterShire & Rutland, Tony Donovan, added: “We are incredibly grateful for the support that Morningside Pharmaceuticals have given us and this transport will provide an essential service for many years to come that will help significantly towards our important work in tackling loneliness and isolation”.